To my dear friends across the globe – I’m delighted to announce the worldwide release of my latest album, Elsewhere. I have poured my heart and soul into each composition with all of you always in my mind. I want this album to resonate with each of you on a very personal level. Most of my compositions are inspired by stories from my own life which are detailed in the booklet that accompanies the CD and which will soon be available online. Many are compositions that have seen me through challenging times; others express some of my most joyous moments. For the past two years, I have had the privilege to meet some wonderful people with fascinating personal stories many of which are reflected in my compositions. There are stories of yearning, of heartbreaking losses and of relationships, reconciliation and healing – stories which will take you on an emotional journey. Be they happy or sad, I think you will find that these compositions capture the complexity of emotions we all have experienced. Let these stories guide your listening experience but also allow yourself be transported “elsewhere” and experience your own unique story. Whether you are experiencing a troublesome time or merely wishing to relax to soothing pieces during quiet moments, you will find the perfect track to suit your mood. At the heart of all the pieces is the desire to heal. Some include a moody cello provided by the talented Samuel Bisson which enhance the range of emotion. 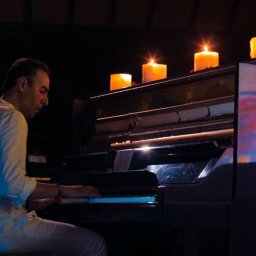 I invite you to share how you experience my music at #ElsewhereWithArash. The album is available on Spotify, Amazon, CDBaby, Apple Music and iTunes. If you’d like to be updated on my latest releases and performances, you can subscribe to my mailing list on the home page. I would like to extend a special thank you to Kambiz Mirzaei, Daniel Cosmic, Alireza Atarian and Dee Gibney as well as my friends and family who have shared their stories and attended my performances and my outstanding team who have made this album a possibility. 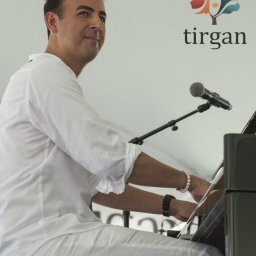 Arash is now on CBC Music!